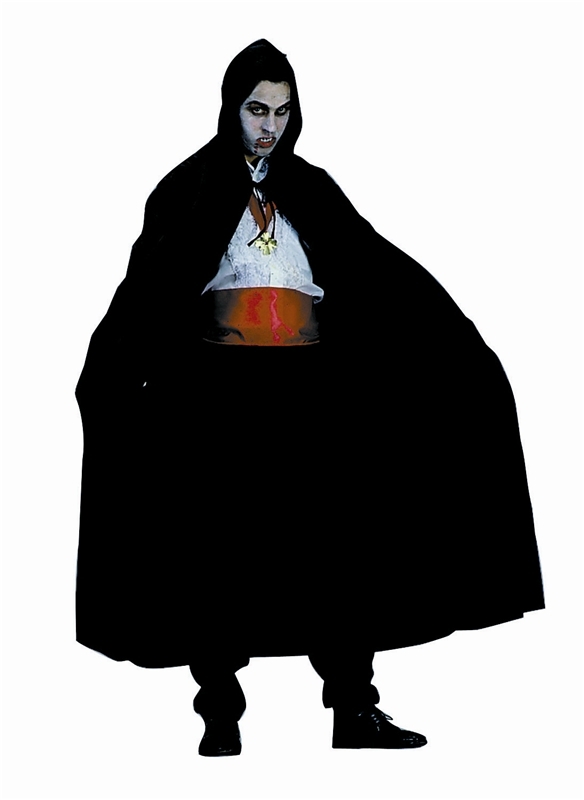 This Full Length Nylon Hooded Black Cape 56in is perfect for Halloween parties or any occasion! It features a sturdy nylon construction and attached hood. *Shoes, Pants, Shirt, Necklace, Gloves and Cumberbund NOT INCLUDED.